I’ve already mentioned the benefits of marinading meat in yogurt. In this recipe I use bone-in pieces of chicken which tend not to dry out as easily as boneless breasts through these could be used as well. Tougher cuts of lamb also really benefit from a yogurt marinade. Feel free to marinade your meat all day if that’s convenient. Whenever possible, I like to make this marinade in the morning and let the meat tenderize all day in the fridge until it’s time to cook. As for the type of yogurt, it goes without saying that you want to use plain with full fat being my preference. Regular yogurt, as opposed to greek yogurt, contains a lot of water. If you have greek yogurt on hand, this has already been strained and hence works perfectly. I don’t tend to buy greek yogurt and so I strain it myself, an incredibly simple process shown above. Simple spoon your yogurt into two layers of paper towel and synch at the top with your hand. Gently squeeze the yogurt and the water should come running out. What you’re left with is very thick yogurt and will not water down your marinade and will act as a super glue with your meat. This recipe is a perfect example of when spice mixes really come in handy. See my post on Dry Spice Blends for more info on where to find my favorite brands. If you can’t find Tandoori spice mix and want to make your own, you can easily do so by mixing ground tumeric, cumin, coriander, ginger, garlic and a tough of clove. There are other ingredients in this mix but this should get you close enough. 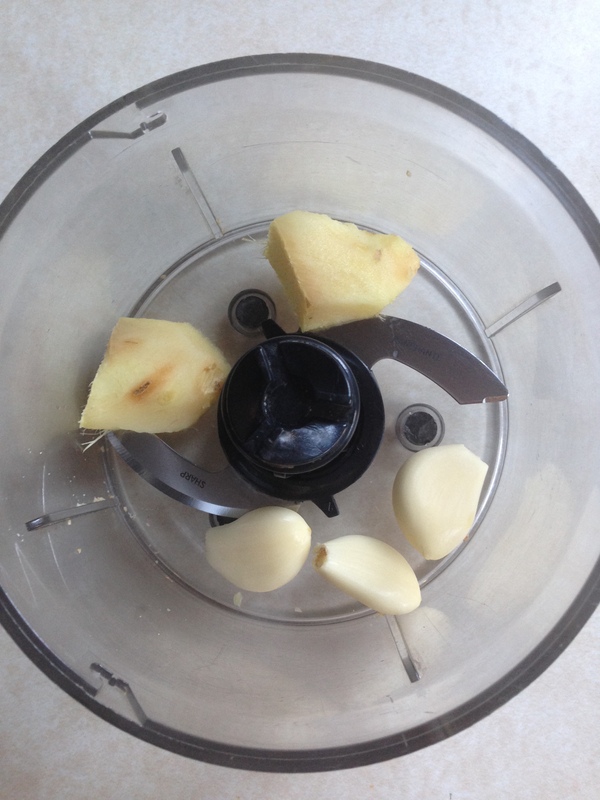 To make your marinade, finely chop your ginger, garlic and cilantro or throw them into a small food processor. 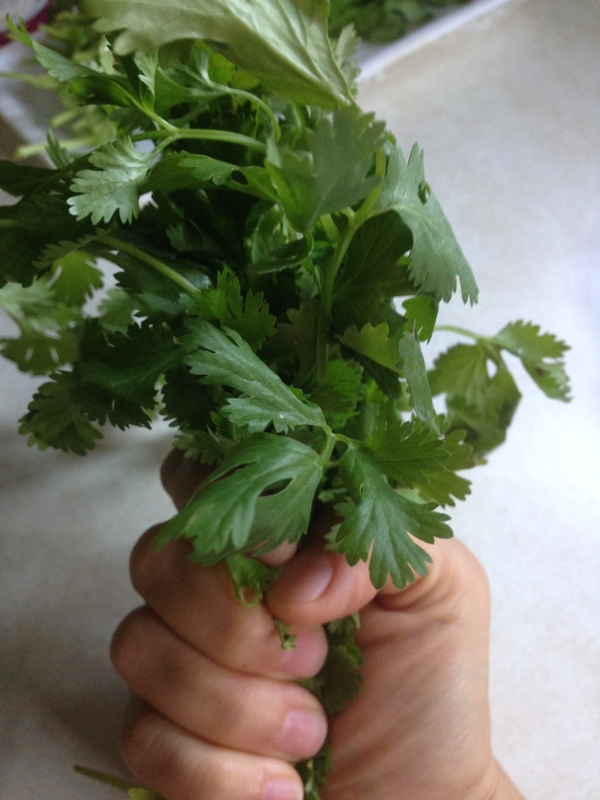 Feel free to use the tender stems of the cilantro. Add your chopped ingredients to a large bowl and mix with your spice mixture, salt and lemon juice. 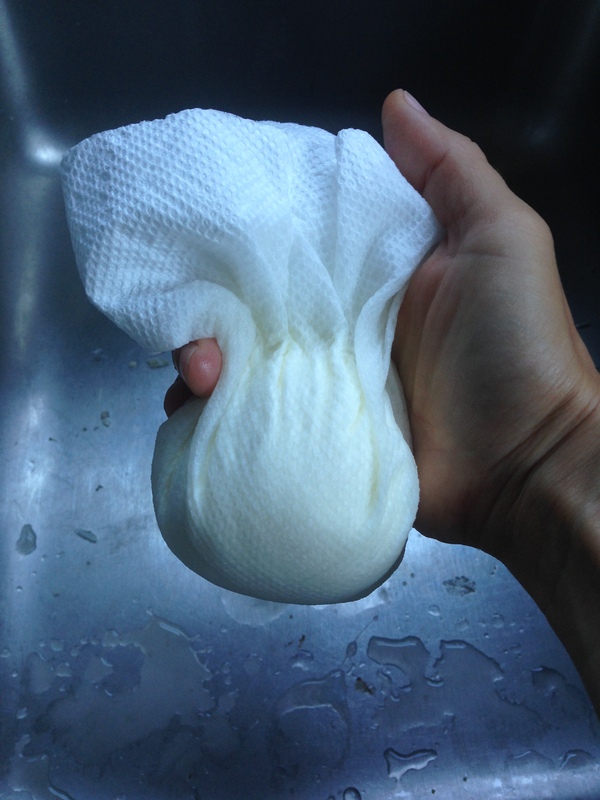 If you don’t have greek yogurt, take two pieces of paper towel (one on top of another) or a clean cloth kitchen towel and spoon your yogurt into the center. Bunch up the sides of the towel and carefully squeeze the water out. 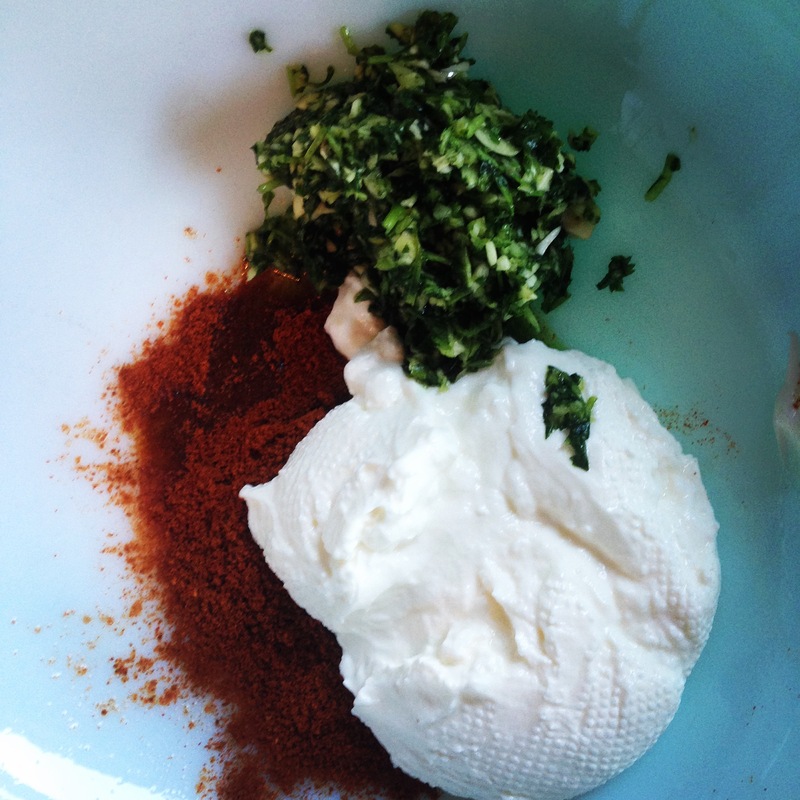 Add yogurt to marinade mixture and carefully blend together until full incorporated. Cut up whole chicken or clean/trim whichever kind of meat you prefer. Add to the marinade and cover int he refrigerator for at least 2 hours and up to 12 hours. Bring back to room temperature before placing on the grill or into the broiler. 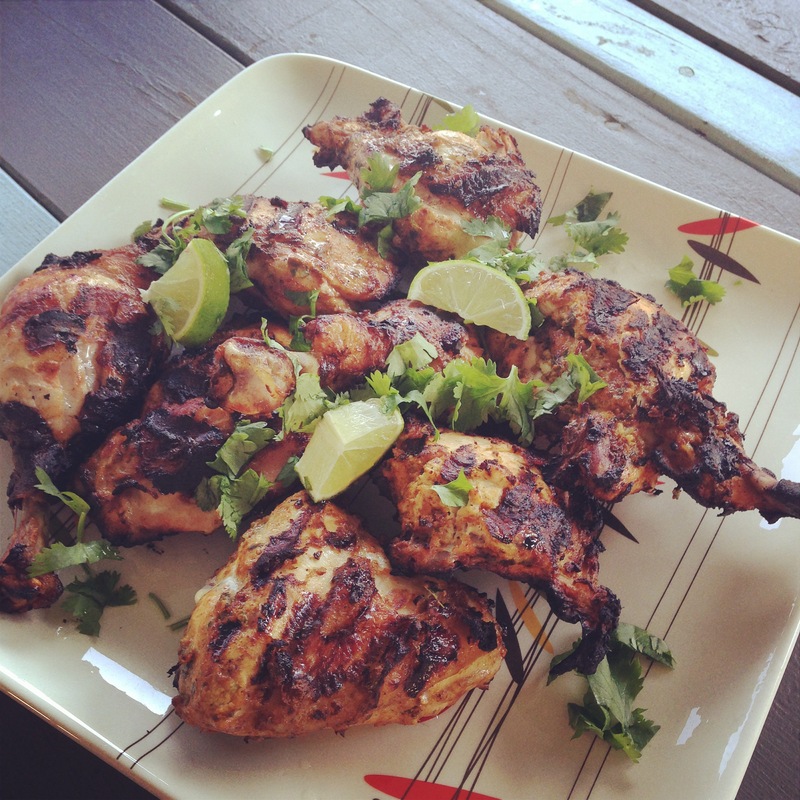 Garnish with lemon or lime slices and fresh cilantro. Serve with your favorite chutney and naan.